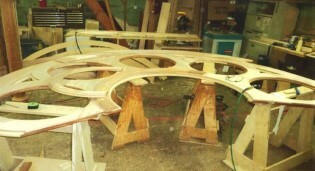 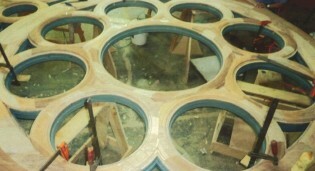 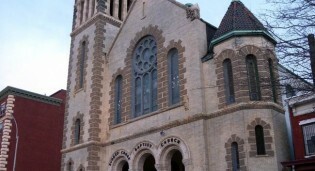 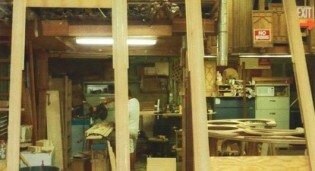 Rohlf’s Studio replicated the mahogany window frames at Rugged Cross Baptist Church in Brooklyn, NY. 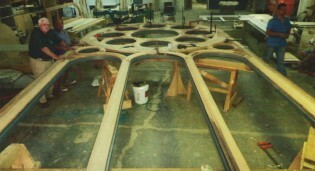 Replication of the mahogany window frames by Rohlf's Studio at Rugged Cross Baptist Church in Brooklyn, NY. 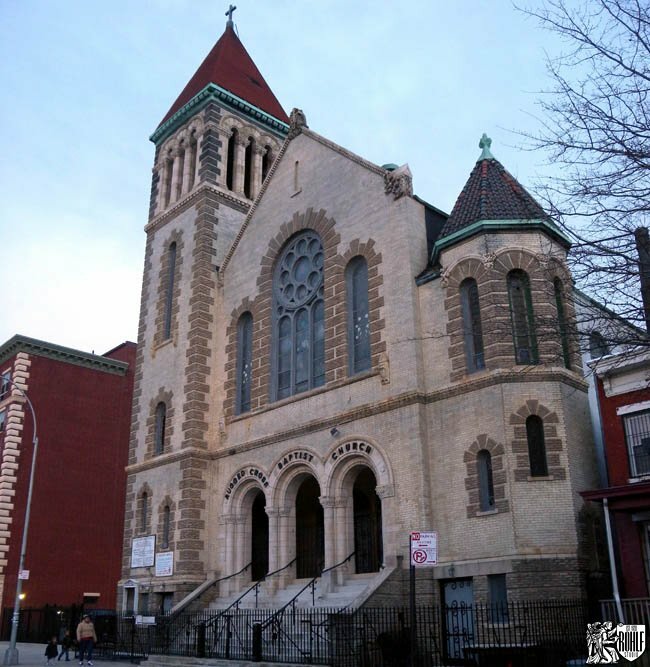 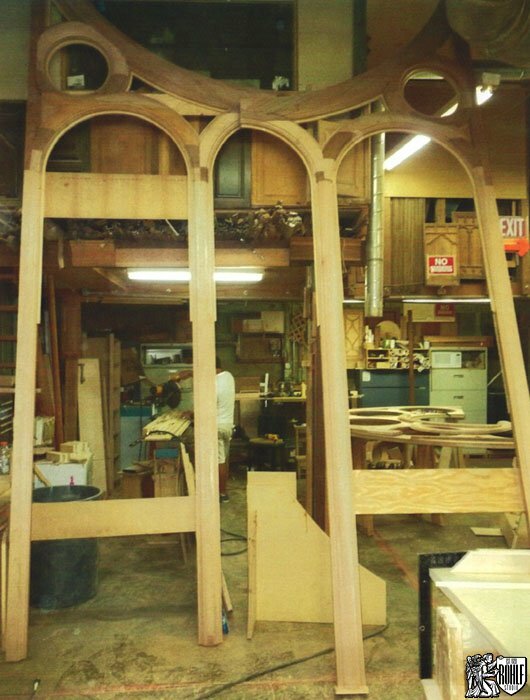 In shop replication by Rohlf's Studio of the mahogany window frames at Rugged Cross Baptist Church in Brooklyn, NY. 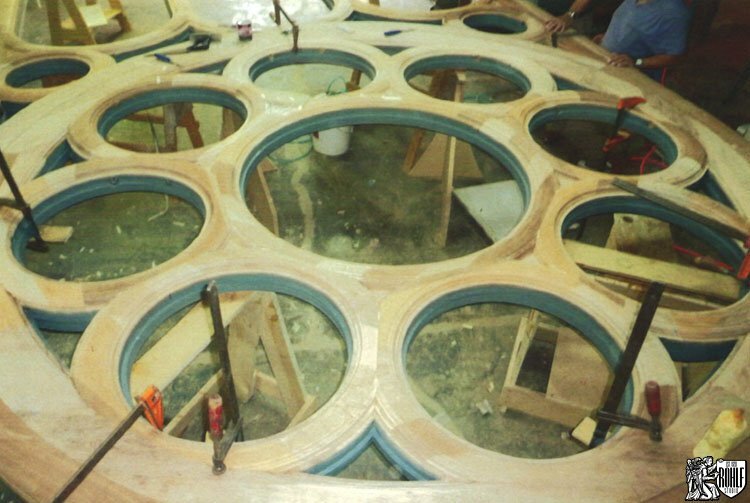 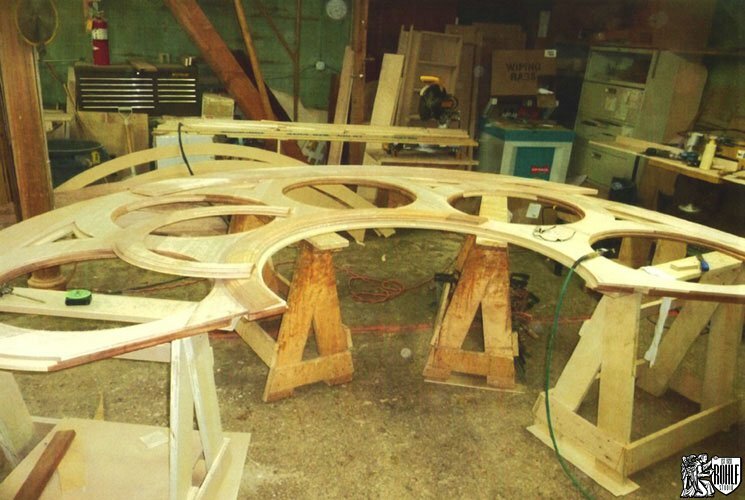 Peter Rohlf of Rohlf's Studio supervises the replication of the mahogany wood frame for Rugged Cross Baptist Church in Brooklyn, NY. 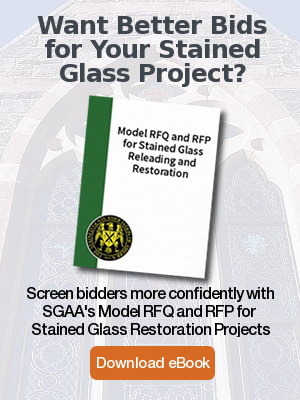 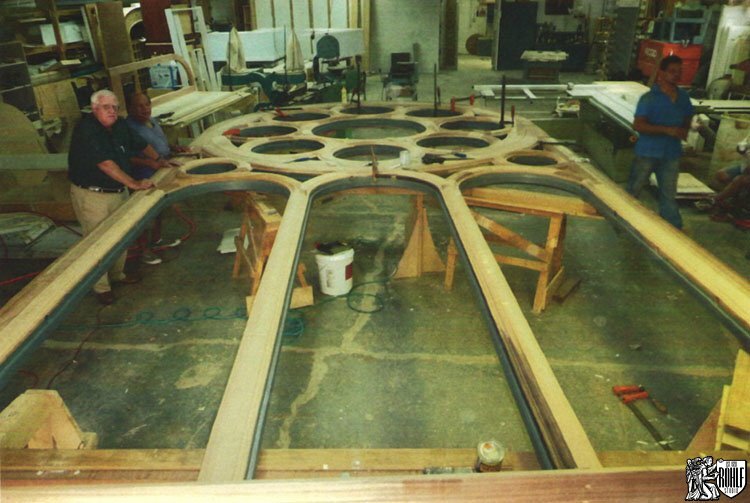 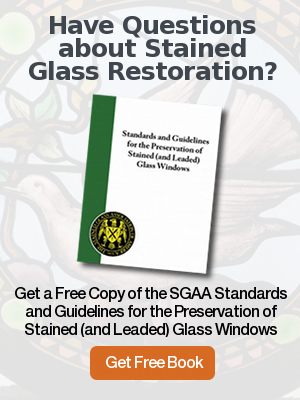 In shop replication by Rohlf's Studio of the mahogany window frame at Rugged Cross Baptist Church in Brooklyn, NY.